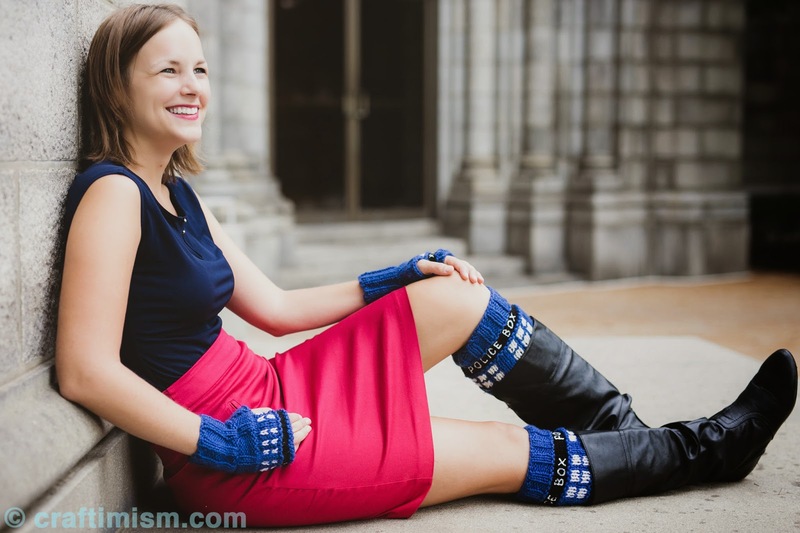 Check out these Doctor Who inspired Police Box fingerless mitts. Also pictured above are Police Box Legwarmers. 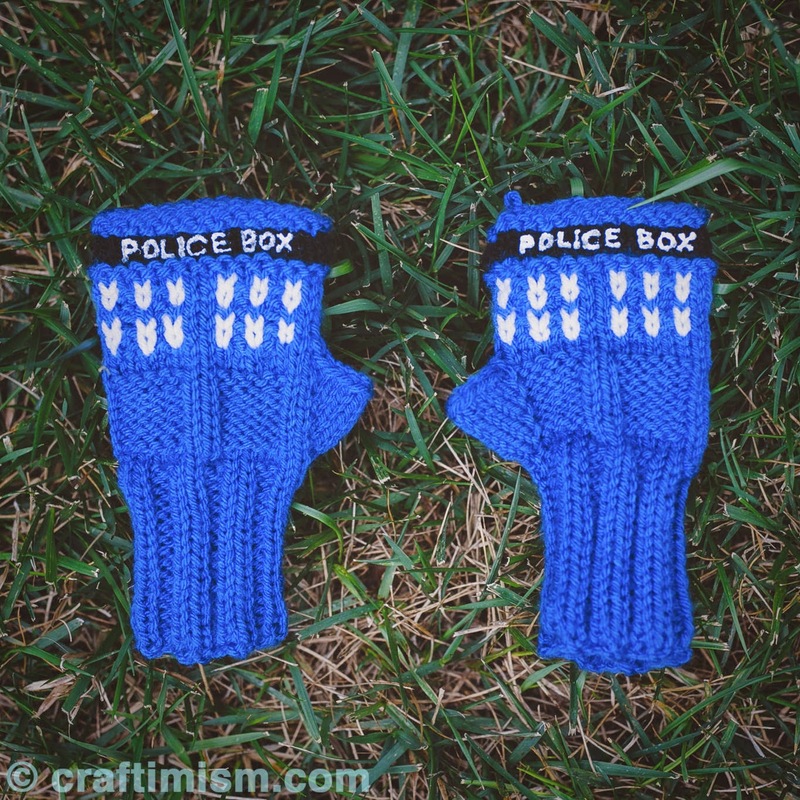 I wanted to make a pair of Police Box Fingerless Mittens but I had a dilemma. I could not find any patterns I liked well enough. So I decided to design my own. I went through three versions of this pattern before settling on this one to write up and publish. The first version was actually my favorite but was more difficult as the colorwork began before the thumb gusset was complete and the finished product from that can be purchased at my Etsy site. 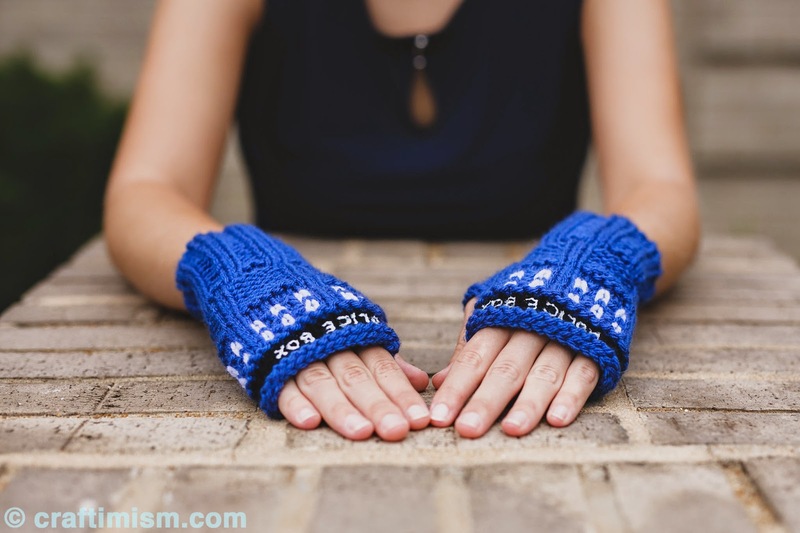 The pattern for these mitts can be purchased directly here on Ravelry (information page here). I will list the pattern on Craftsy very soon as well. As always, a big thanks goes out to Pablo Tsukayama my favorite friend-tographer for the awesome photos of me modeling the mittens! If you are in the St. Louis area and need a photographer with mad skills, check him out!